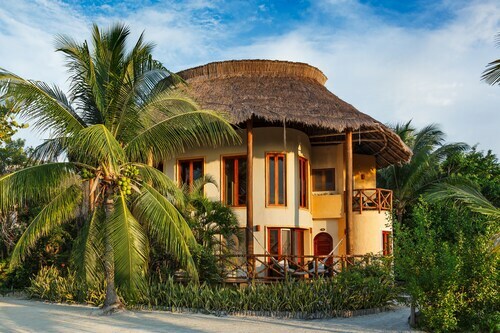 Expedia Holbox Island vacation packages will help you save! Bundling your reservations will give you more spending money for your incredible trip. Book your package on Expedia and earn savings of up to C$590*! It's really that simple! With more than 400 airline partners and 321,000 properties worldwide, our exhaustive database can help get you where you need to be. If you change your mind, you may cancel almost any hotel reservation and you won't pay any extra fees to us. There are loads of wonderful things you can do when you're in a new destination. So why not get your trip to Holbox Island off to a sensational start by checking out some of our recommendations? After all – out there starts here! From fish and crabs to snails and worms, learn about what's living in Yalahau Lagoon. These shallow and calm waters provide an optimal environment for a rich collection of animals. There's a great range of things to keep you busy nearby. Get a peek into what life was like many years ago at Holbox Church. More than just a bunch of old stones, these reminders of the past offer an interesting insight into a long-gone era. Still have some time to spare? Ready to escape the mainland for a bit? You'll find there are lots of awesome things to see just across the water on Passion Island. Pass security, shuffle onboard, put your bags in the overhead locker and get comfy! 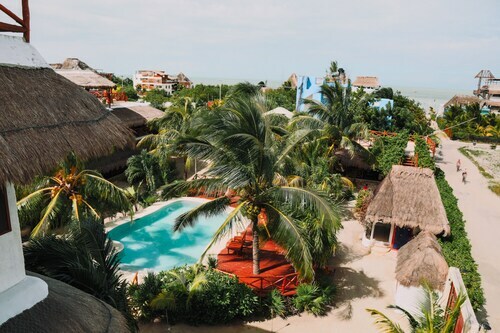 Your well-deserved trip to Holbox Island is just a plane ride away. After hitting the tarmac at Cancun International Airport (CUN), you'll find yourself situated 40 miles (64 km) from the central areas. 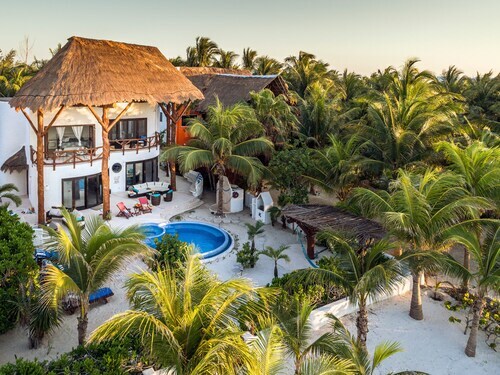 This beachfront historic villa is located in Isla Holbox, where regional attractions include Punta Mosquito Beach, Holbox Beach, and Holbox Church. Regional attractions also include Main Square and Passion Island. 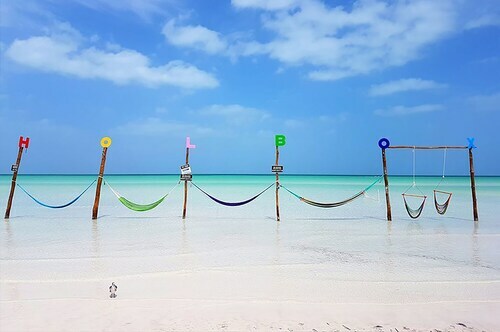 Nestled on the beach, this Isla Holbox hotel is within 1 mi (2 km) of Main Square and Holbox Beach. Punta Mosquito Beach is 2 mi (3.2 km) away. 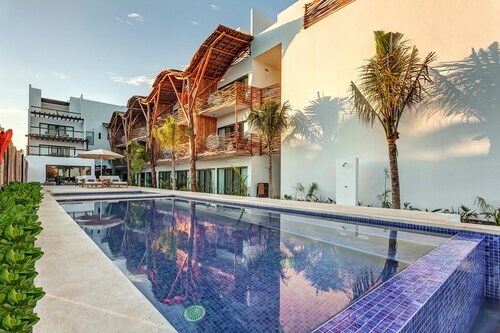 Nestled on the beach, this Isla Holbox hotel is within a 10-minute walk of Holbox Beach and Punta Mosquito Beach. Main Square and Holbox Church are also within 1 mi (2 km). Located in the heart of Isla Holbox, this hotel is within a 10-minute walk of Holbox Church and Holbox Beach. Punta Mosquito Beach is 1.3 mi (2 km) away. Situated by the ocean, this hotel is within 1 mi (2 km) of Main Square, Holbox Beach, and Punta Mosquito Beach. Holbox Church and Yalahau Lagoon are also within 3 mi (5 km). 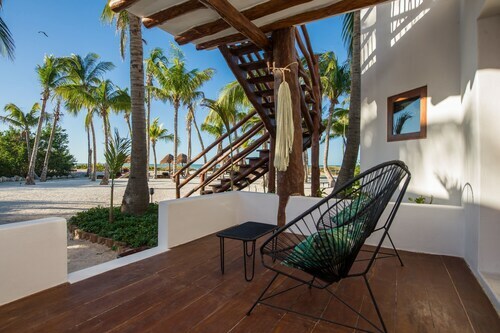 Situated near the beach, this aparthotel is within 1 mi (2 km) of Yalahau Lagoon and Holbox Beach. Punta Mosquito Beach is 2.1 mi (3.4 km) away.